I am not, and never have been, a big breakfast person. Just get me a hard boiled egg and I will be fine. Even before I was diagnosed with a wheat allergy I didn’t find breakfast to be all that exciting. 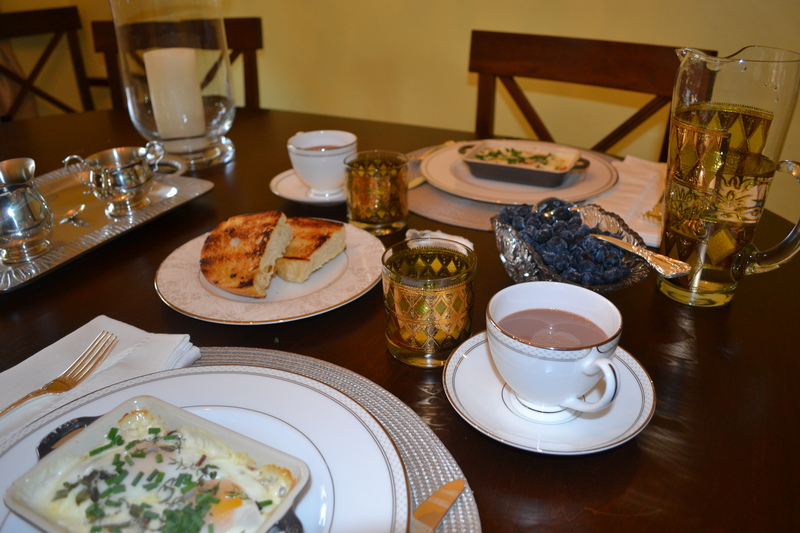 Brunch, however, evokes excitement and creativity for some reason. I know, most of the food is the same but somehow my taste buds perk up with the possibilities. I have so many wonderful brunch recipes that I could share but I will keep it simple but satisfying as a starting point. 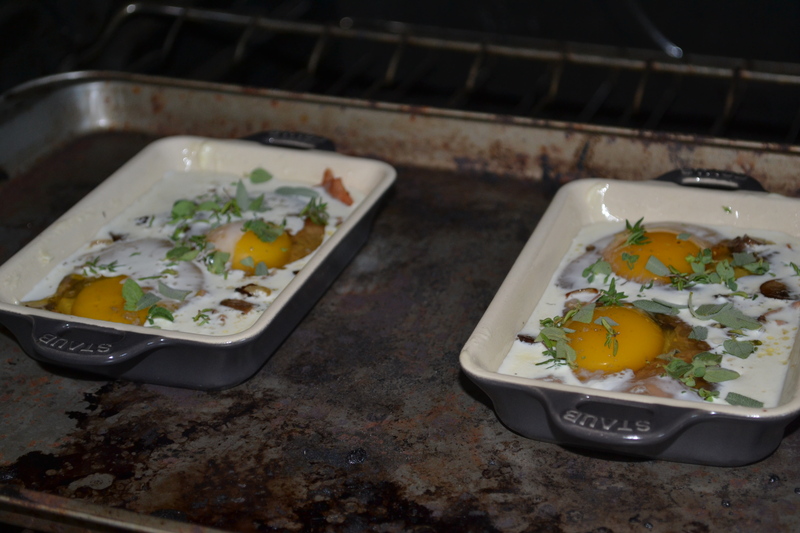 Baked eggs is a recipe that is tasty and easy for a family rushed to get to sporting events, your best friend visiting for the weekend, or just an excuse to get your family or roommates out of bed and around the table. This is a favorite in our house and sometimes even works for dinner! 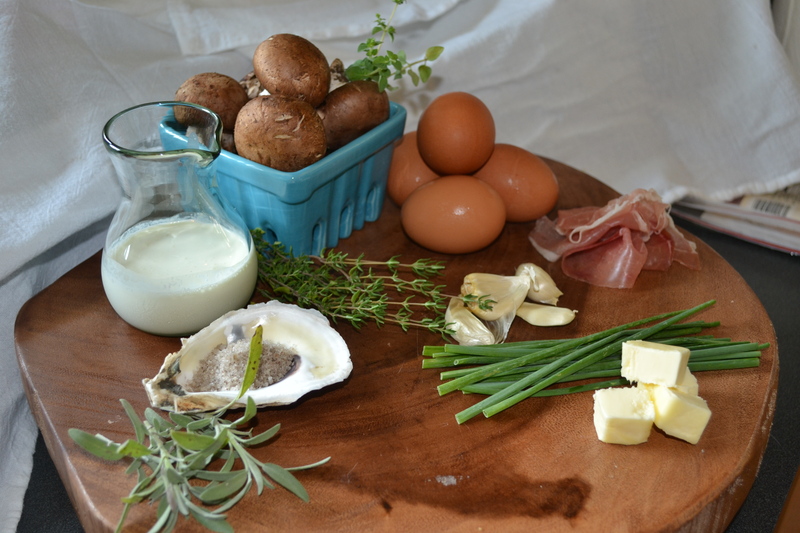 The beauty of this meal is its simplicity: it doesn’t require a lot of prep time. When serving brunch with this recipie those you are blessing with your culinary skills are sure to be impressed and satisfied. The key is to spend limited time in the kitchen and maximum time with your loved ones. Your focus should be on having a leisurely meal and excellent conversation. After a busy week of rushing in every different direction my husband and I try to set aside some family time. Even with it just being the two of us it still seems like a great feat. But I relish a long conversation with him as we enjoy good food. 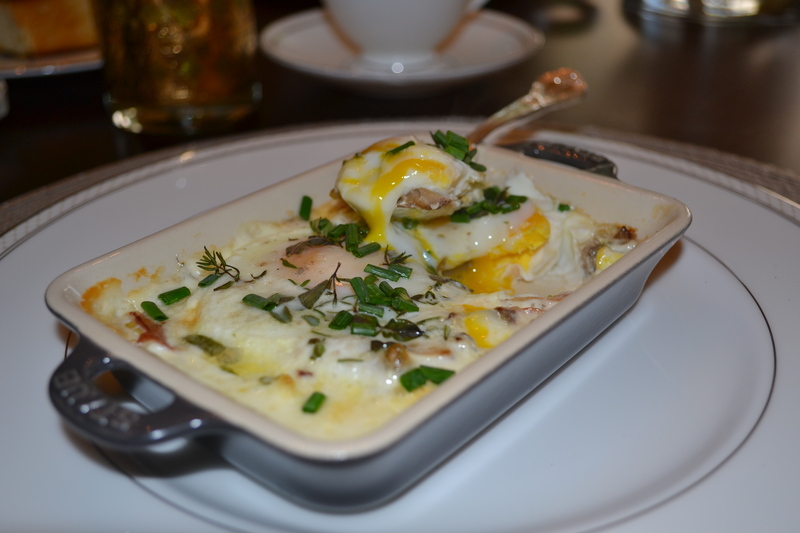 Baked eggs are a favorite for these types of mornings. I like to dress up our Saturday morning table with china and silver but with a hearty meal like this a casual tablescape would work. Remember, every day is meant to be celebrated and enjoyed. Don’t try too hard to replicate my ideal morning, figure out what works for you and go for it. For this dish try looking in your fridge and using what you have on hand. Go healthy with all your unused vegetables from the week or fry up that bacon you have been thinking about pulling out of the freezer. All your favorites, including cheese, will work perfectly in this dish. You can even get your family and friends involved by personalize each serving. This is a great way to start learning how different foods, herbs, and spices work together. A key component of this meal is the toast. The one part of breakfast I always loved was dipping my buttered toast in gooey egg yolk. For years I would look on longingly as others would dredge their golden crispy sourdough through the expertly seasoned yolk longing for just one small taste. Luckily I found Bread SRSLY so this gluten free girl can once again indulge. Whatever your taste or allergies, find a bread that makes your mouth water. 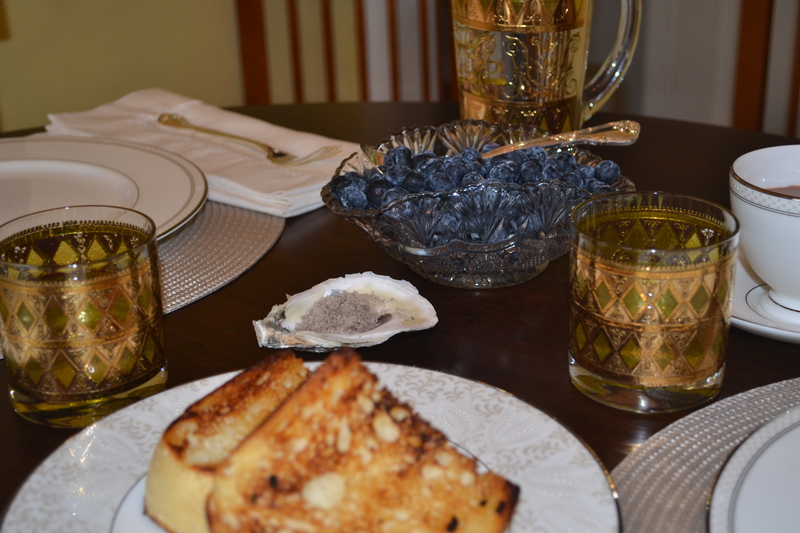 Hostess Tip: Next time you are out for oysters keep one of the shells for a salt cellar. This one is from our honeymoon! 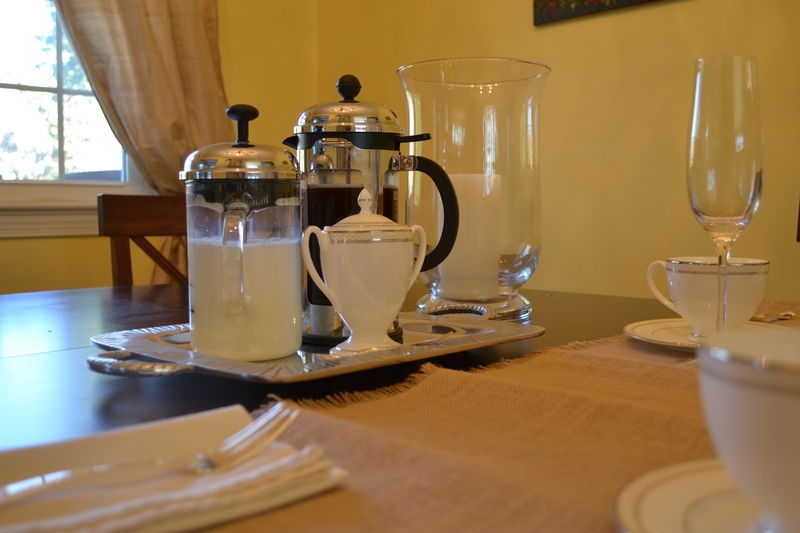 Hostess Tip: French Press coffee served on a tray adds some elegance and a feeling of eating at a fancy hotel. butter small baking dishes liberally. Heat a small frying pan and add 1-2 Tablespoons of butter. 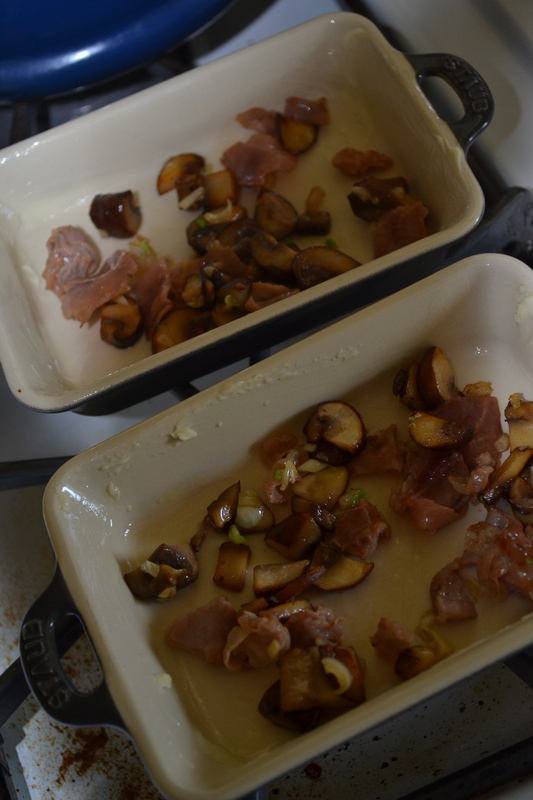 Saute the mushrooms. Turn off the heat and add the diced prosciutto and garlic for about a minute. Crack two eggs into each dish and season with salt. Add desired amount of herbs to each dist, at least 1/2 teaspoon of a mix of all herbs. Pour 1 Tablespoon of heavy cream per dish. Garnish finished dishes with diced chives. 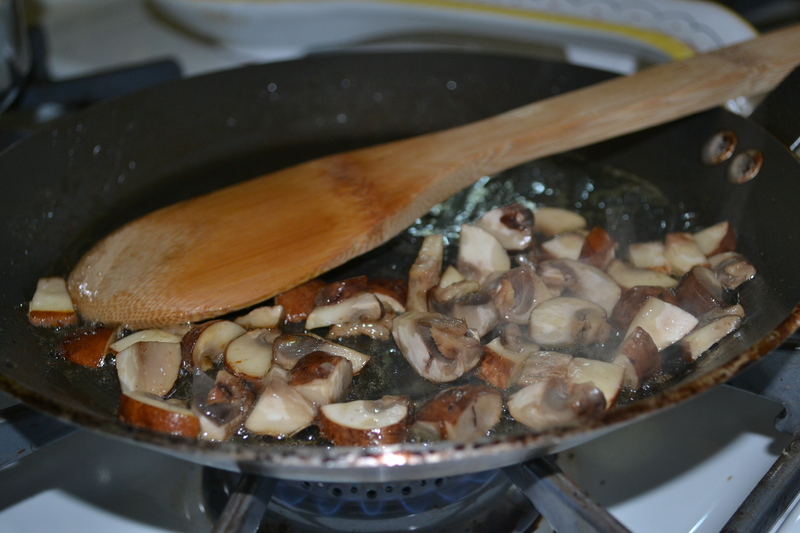 While eggs are baking re-heat the frying pan used for mushrooms. Add 2 tablespoons of butter. Once melted toast bread on each side to desired color and texture. For results like mine, toast for 2-3 min per side. Get creative with how you serve this brunch. Use your china, silver, and crystal. 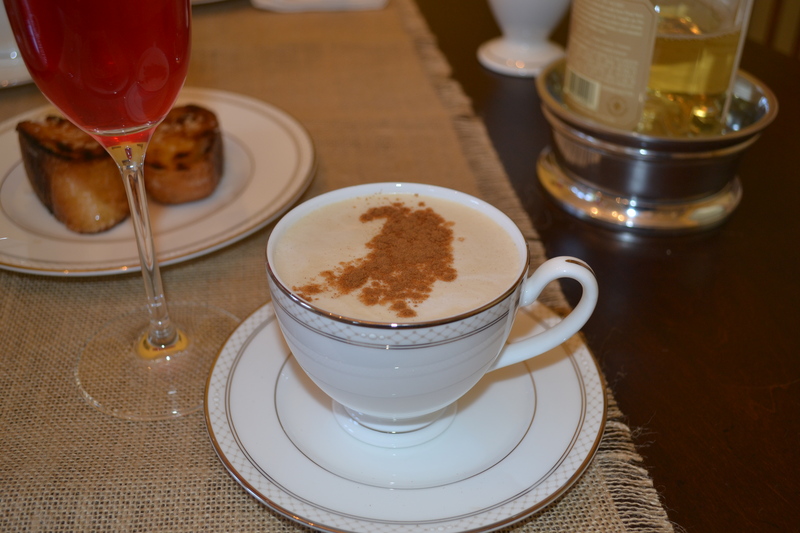 Serve mimosas and coffee with cinnamon. Or for a hot summer day swap the coffee for ice cold chocolate milk! Mix your fine silverware with rustic linens like china and burlap table runner. This is also the perfect meal to serve on a tray in bed. Let your personality show and be fearless for trying something new.